I know, everybody knows this so it probably sounds redundant, but the truth is you can only get so good at the SAT writing by relying on the way things sound. To truly improve at the test, you’ll need to know the grammar behind the right answers and the wrong ones. So what does it mean to understand the fundamentals of SAT grammar? After all, many of us have seen 500-page grammar textbooks and regard them the same way we might a 14-inch tarantula. Do you really need to know everything in that book? There are two pieces of good news: the SAT tests only a small sliver of grammar and there are no spiders on the SAT. In fact, if you learn just the basics you’ll be able to answer more questions correctly, and with the more difficult questions, you’ll be more likely to understand, in grammatical terms, why you end up missing any question. So think of the SAT grammar has a set of rules that could fit into a few dozen pages. The key is applying these rules in the context of the passage. We’ll come back to this later. Within those few dozen pages, there are rules that the SAT tends to care about more than others. 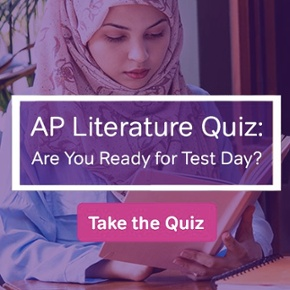 Meaning the SAT will more likely test certain rules than others. If you want to improve quickly, its better that you learn these rules first. This is one of the most common concepts tested on the SAT writing for the simple fact that relying on your ear will get you in trouble. The trick here is that the subject of a sentence is not always clear because the test writers do a good job at hiding it, if you don’t know where to look. Many mistakenly believe that the subject is the noun closest to the verb. This, however, is not the case. The subject is the noun that comes first Now, in English this isn’t necessarily the case, but on the SAT, it always has been. The number of citizens backing the proposed changes has increased. Our ear hears “changes”, which comes right before the verb, and wants to turn the ‘has’ into ‘have’. However, it is not the ‘changes’ that have increased. Likewise, it is not the ‘citizens’ who have increased. How exactly do citizens increase? Rather, it is the number that has increased, and ‘number’ is singular, not plural (that would be ‘numbers’). A good rule of thumb is to look at the very first noun in a phrase. Is it plural or singular? The answer to that will affect the verb form, regardless of the other nouns that come after the initial noun but before the main verb. To understand how comma splices work you first have to understand the difference between dependent and independent clauses. A dependent clause “depends” on an independent clause to form a sentence. For example, the following are dependent clauses and by themselves do not form sentences. An independent clause, on the other hand, is a complete sentence; it does not need any more added on to it. She closed her eyes and slowly fell asleep. You should enroll in the high school’s French course. If you add a dependent clause to it, it is still a sentence, one consisting of a dependent clause and an independent clause. Listening to the sound of falling rain, she closed her eyes and slowly fell asleep. To understand the basic of French, you should enroll in the high school’s French course. Notice how we combined the independent clause to the dependent clause by the use of a comma. The problem occurs when you combine two independent clauses with a comma. This is called a comma splice. Comma splice: I heard you want to understand the basics of French [independent clause], you should enroll in the high school’s French course [second independent clause]. This is always wrong. Even the green squiggly line appears under the comma as I write this in MS Word. To correct this sentence, you should replace a comma with a period or a semicolon. In other words, the correct answer, were this on the SAT, would include a period or a semicolon. When we talk about ‘number’ in a grammar context, we mean is the noun either singular or plural. This is a concept we visited a moment ago when we discussed subject-verb agreement: to determine whether an ‘-s’ should come at the end of a verb, we must look at the number of the noun that comes first in the subject phrase. Now, we are focusing not on any old noun, but on a pronoun. Some pronouns are singular, while others are plural. This was pretty rare on the old test where the questions were typically one sentence long. With the new SAT, every writing question occurs in the context of the paragraph. Not surprisingly, transition words abound, but are they the right transitions? The test will often ask you to differentiate between the likes of “nonetheless” and “furthermore”. To really be good at this question type, you first need to know what the transition words likely to show up on the SAT actually mean. Notwithstanding – shows contrast (Yeah, I know. This one can be confusing). The best way to attack these questions is to read the sentence before the underlined part and the sentence after. That way you get enough context to determine the most appropriate transition. Below is an example of how the SAT might test transitions. The earthquake happened three decades ago. Nevertheless, many can vividly recall exactly what they were doing the moment it struck. A) where it is now. Read the entire paragraph first, paying attention to any sentence that seems out of place. Then read which sentence the question asking about. On easier questions, you might be able to immediately identify where the sentence should be placed, since you have already read through the paragraph looking for what seems out of place. On harder questions, you will want to read the cited question and then first look at the sentences before it, reread the original sentence, and then the sentence after that. Look for specific context clues in these sentences. Does something not match up with the sentence that the question is asking about? If everything is fine, then the answer is A) where it is now. No, this isn’t something mom serves warm during the winter months. Rather, it is the SAT seeing whether you know the difference between commas, semicolons, and colons. Sometimes they’ll even throw a little dash of dash in there, meaning em-dash. Here is one such question type. Of course each will differ. Sometimes you won’t get any colon, but you can always bet on a comma or two, sometimes even in the same answer choice. Some questions will require that you look at a graph. These aren’t necessarily difficult, but might fluster you if you are not prepared for them. “Have a colloquy over”, on the other hand is extremely formal. If you are asking yourself, what the heck colloquy means that’s usually an indication the word or phrase is too formal. In all likelihood this word is one only a tenured Ivy League professor might use. I have no idea what you’re reading, so I slipped “news articles” in there, lest you try to parse the grammatical niceties of the Sunday funnies. Assuming you are online reading a movie review or the day’s main headlines, notice how the writers construct sentences. Do they like using multiple clauses? Are they every guilty of comma splices? Do they abuse the semicolon? Whatever it may be the more often you can engage your grammar brain, the easier it will be for you to do test day. This also flows nicely from the preceding point. Whenever you are writing, reading, or SAT-ing make sure that your grammar brain is turned on. Of course, you might want to use your ear a little when writing, to figure out what sounds good,but always make sure you grammar brain is policing the process. Of course, it isn’t easy to turn on the grammar brain, energy is required. Most people, when they see text, lapse into passive mode, letting the words come at them. It is better that you read one sentence at a time, thinking about the underlying grammar. Can you identify the subject? What verb matches the subject? Then notice the connection between sentences. Does a writer use overuse commas? Could they have chosen a semicolon or period? By asking these questions, it shows that you’ve turned your grammar brain on. The ease with which you can switch this on will make it more likely you’ll be in this mode when taking the test, instead of lapsing into passivity, as is all too common. Don’t be satisfied knowing why the right answer is right. Figure out why the answer you chose was incorrect. If it threw an extra comma in there, understand why that extra comma is incorrect. If the transition word you chose sounds just fine, look it up. What does it actually mean? Remember, what often sounds right isn’t grammatically right. Knowing such instances will make you better at SAT grammar. With the reading comprehension section, the advice is to read the entire passage, but what about for the writing section? While it is tempting to do questions as you read through the passage, constantly stopping will interrupt your general sense of the passage. In other words, you’ll likely answer questions regarding small punctuation issues correctly. Assuming you know your punctuation, but you will struggle dealing with questions that ask you to consider the ordering of the sentences in a paragraph or whether an important detail should be added. Sage advice might be to read the entire passage first. That way you get the context of the passage. I’d argue, however, that most “big picture” questions will be in-paragraph. Read the paragraph and you’ll have enough context to answer the question. If the paragraphs don’t seem to flow together, as you are more likely to notice following this method, you might very well be dealing with a question that asks you how the paragraphs in the passage should be reordered. There is a tendency among students to want to rush through question types. 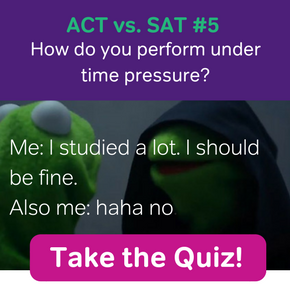 After all, the SAT is a timed test. However, this can be a bad idea, especially if you do not have a strong foundation in grammar. If that’s the case, it’s a much better idea to slow down and really try to understand what the question is asking for. Don’t choose an answer because your gut, or your ear, is telling you to. Remember to wear your grammar hat. If you are just starting off, this might be tough, your grammar hat is a mere grammar beanie. That’s a sign that you need to brush up on your fundamentals (see tip #2). 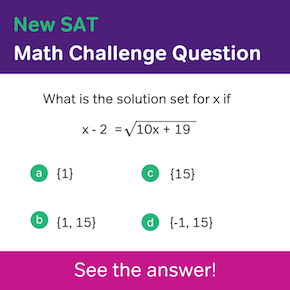 Even if you are strong at grammar and even did well on the old SAT grammar, the new SAT is different. Take your time learning the new question types (see tip #3). 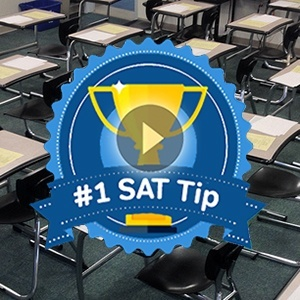 Remember, there is no guessing penalty on the new SAT. Skipping questions, especially difficult or time-consuming ones, is not a bad idea. Sometimes, you’ll be dealing with a tough passage, and you can’t choose between two answer choices. Instead of agonizing, take a deep breath and move on to the next question. What you don’t want to do is waste time that you could have spent on an easier passage. It important knowing that the passages don’t actually get more difficult as you get deeper into the section. If the second passage is causing you difficulty, move onto the third paragraph first and come back. The logic is to keep yourself ‘un-flustered‘. If you do a difficult passage first, you are not as confident when you get to an easier passage and might second guess yourself, even on questions that you would have gotten right otherwise. For more information on grammar fundamentals and how to approach the writing section in general, check out the SAT Test Prep App, which includes 8 free writing lessons. The writing lessons focus on sentence structure, word usage (in context), standard English conventions (eg. commas, semi-colons) and more strategically, how to approach the passages. The app is available for both iPhone and Android.